These guys were so hard to take photos of because of the glare of the glass & I am no pro blogger, but you get the idea. 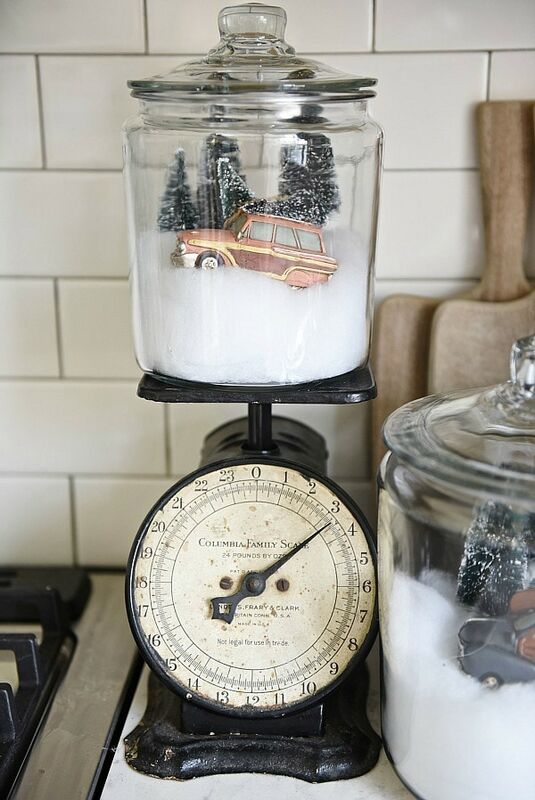 I mean it’s cute car ornaments in a jar. How cute right? 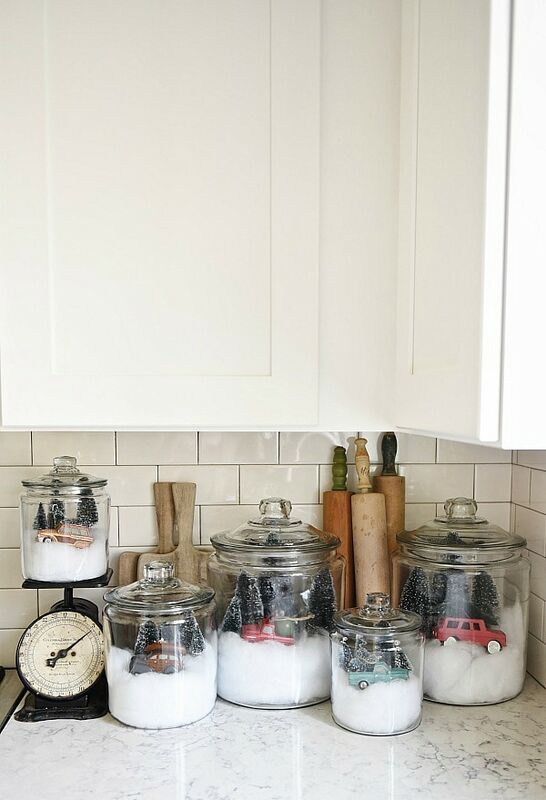 I had these jars from all over the place like Target, Walmart, & Home Goods. 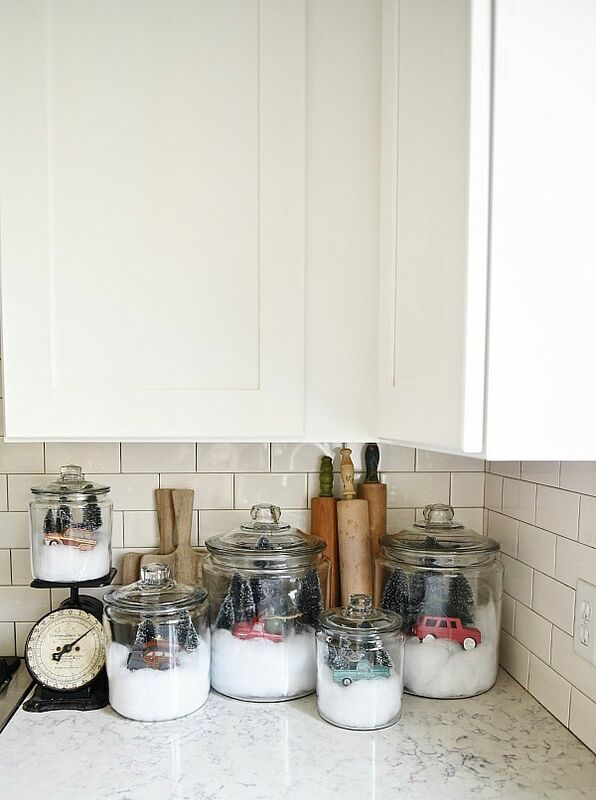 You can find these glass jars just about anywhere. 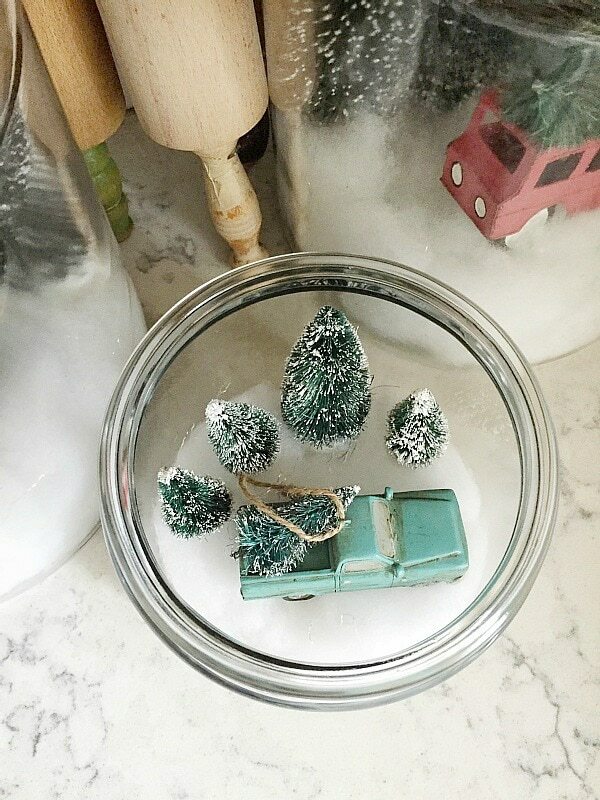 I had this faux snow from Hobby lobby, the Christmas trees from Michaels, & the lovely car ornaments are from Sew A Fine Seam [here] & that car on the far right is actually from Target. I simply first started by turning on some Christmas music, this step is a must! 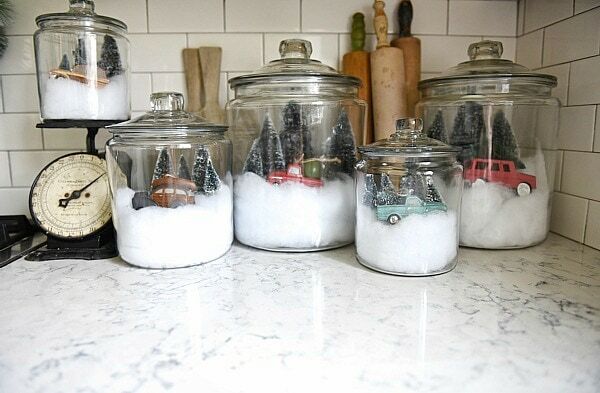 Once your Christmas music is playing, you start putting snow in the bottom of the jars & then layering the trees on top as you please. 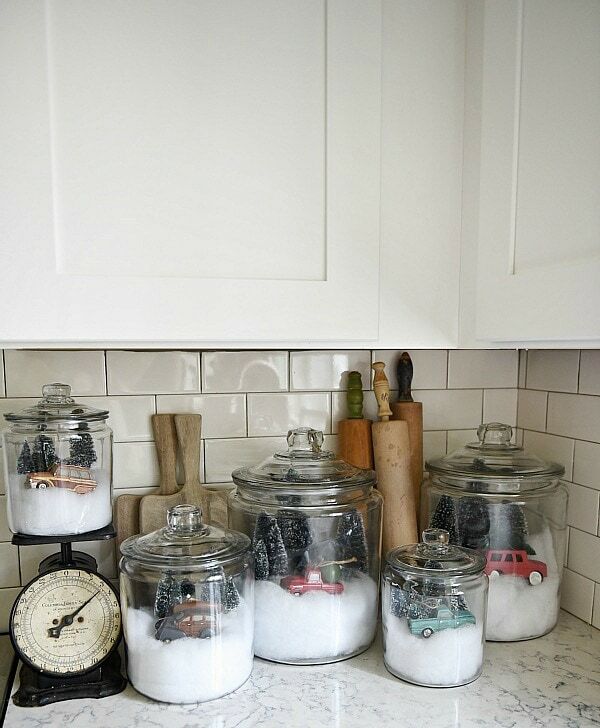 I then placed one car in each jar. I mean, you can’t get easier. 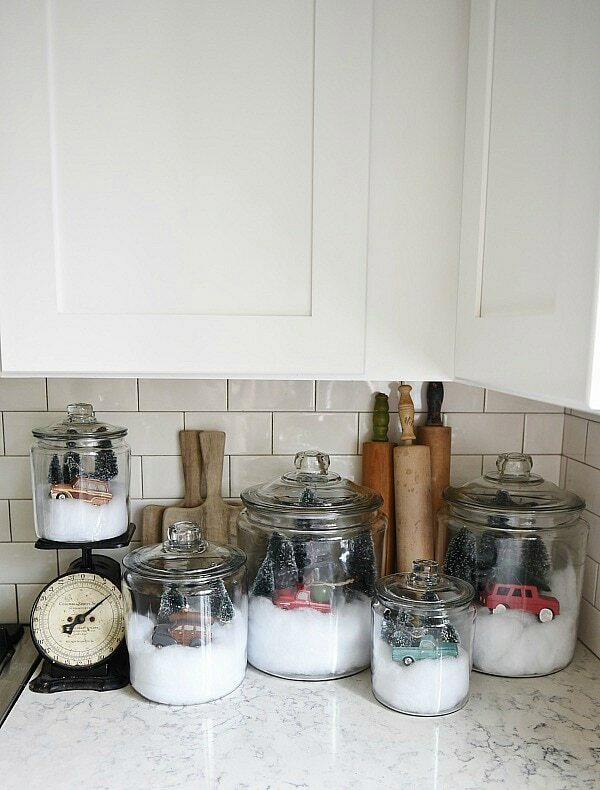 These jars would look great with more ornaments inside, little houses, woodland creatures, & more. 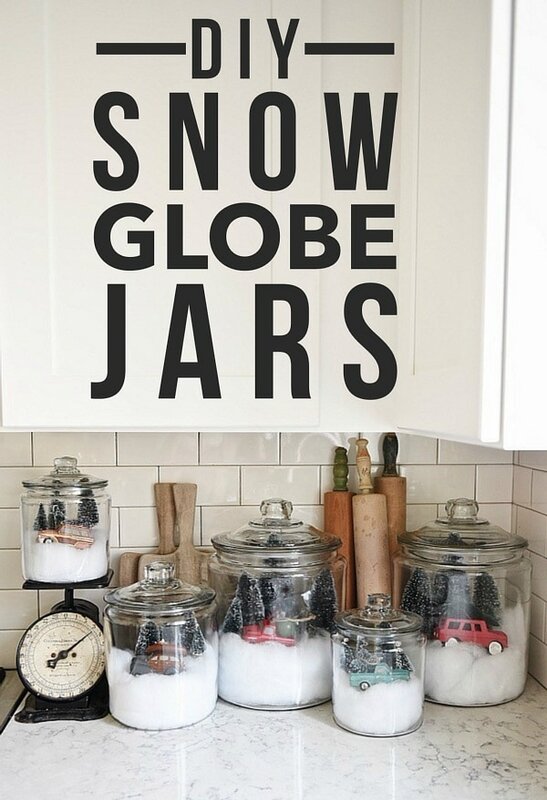 These snow globe jars would be great styled on a mantel, on an entryway table, styled on a bookshelf, & more. 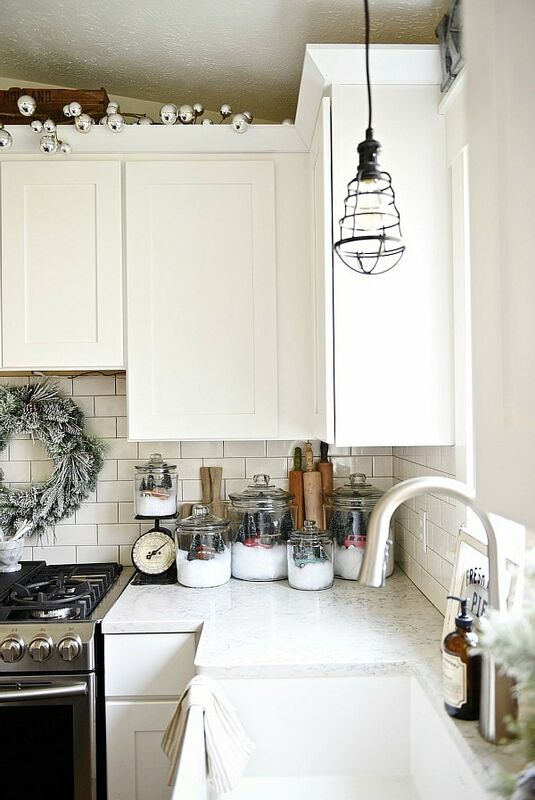 I styled ours in our kitchen, but the possibilities are really endless. 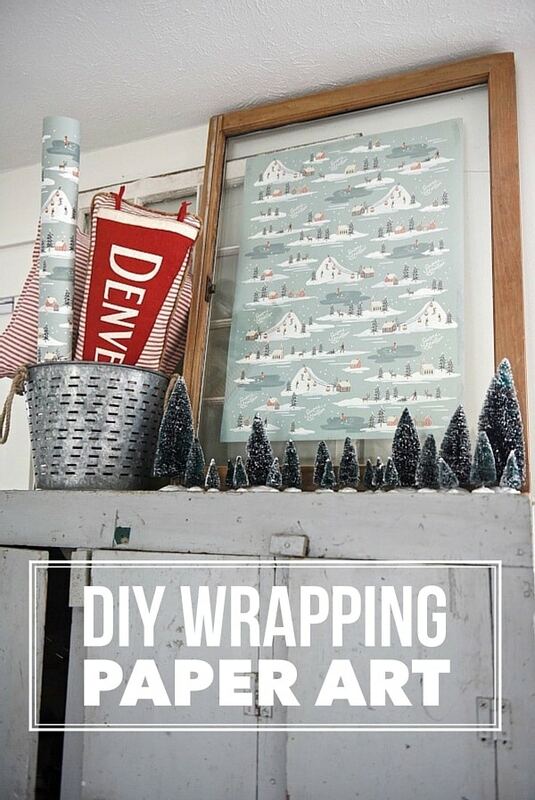 See how to make this DIY wrapping paper art [here]. 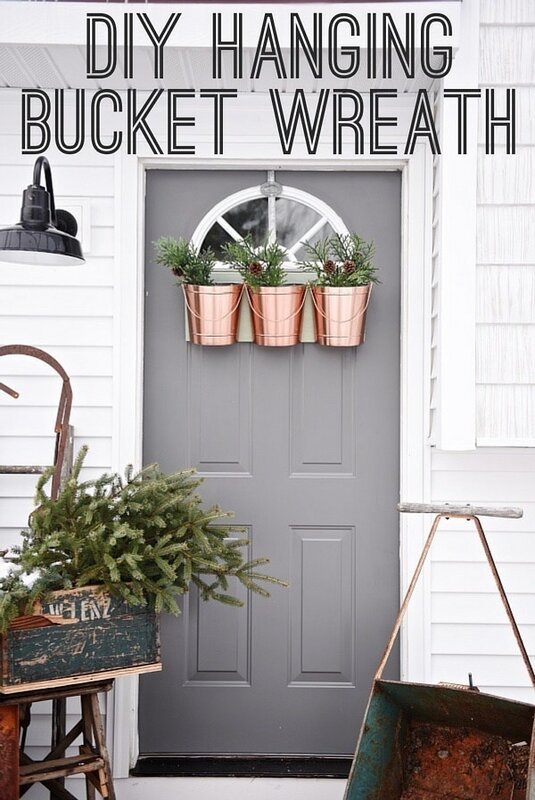 See how to make this DIY hanging bucket wreath [here]. « Big News…. NEW STORE! Very cute- love the woody station wagon. I’m in Traverse City and no snow here either which is super rare. I love that old kitchen scale! I wish I could find one like that.